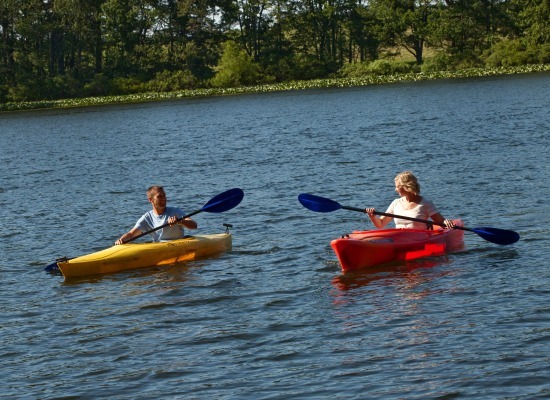 Summer is the perfect time to enjoy the great outdoors! 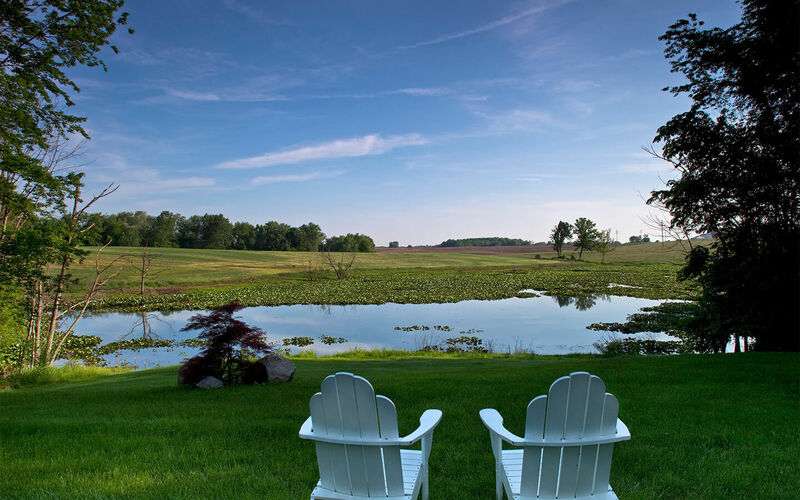 At our Michigan bed and breakfast, the beauty to be seen and the fun to be had is practically endless. Have the best adult glamping experience with a getaway that is equal parts fun and relaxing. Pack your bags, bring your camera, and get ready to embrace your inner kid with outdoor fun while still having the luxury and comfort you deserve. Here are our top 10 recommendations for ways to enjoy outdoor adventure (and relaxation) this summer. 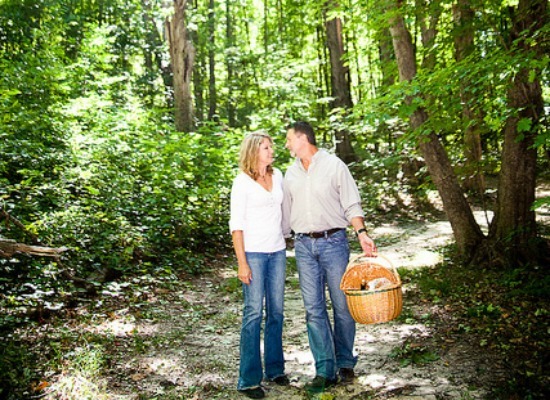 Hiking – Our enchanted forest on property features 65 wooded acres, ideal for exploring and hiking. If you want to get off property and explore great hiking elsewhere, try Saugatuck Dunes State Park. Running at Sunrise – Rise and shine and enjoy the incredible sunrise to be seen in the mornings. Go for a brisk run (or walk) to take in the fresh air. Find your way back to the inn after your workout for a hearty breakfast. Observing Wildlife — Walking anywhere on our country estate, you’re sure to see some interesting wildlife this summer. Capture a great photo of these rare animals and win! Post your photos on Instagram or Facebook and you will be entered in our monthly photo contest. The Pileated woodpecker, black deer, fisher, and more make their home at Castle in the Country. Keep an eye out! Birding – The Michigan landscape is absolutely full of interesting and unique birds to see and observe. View these birds from the comfort of the inn or on one of your adventures and snap a photo! 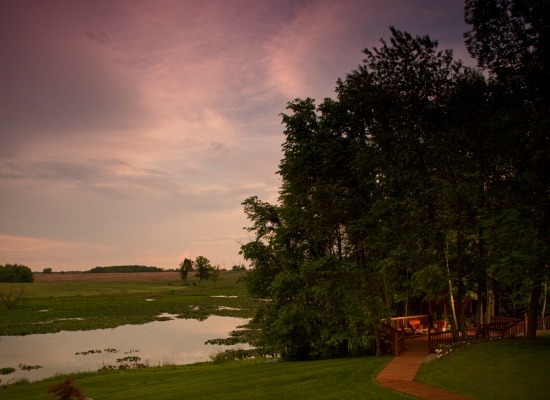 Stargazing – Marvel at the unbelievable beauty of the constellations from our deck at night. There are no city lights to obstruct your view, so the stars are crystal clear. 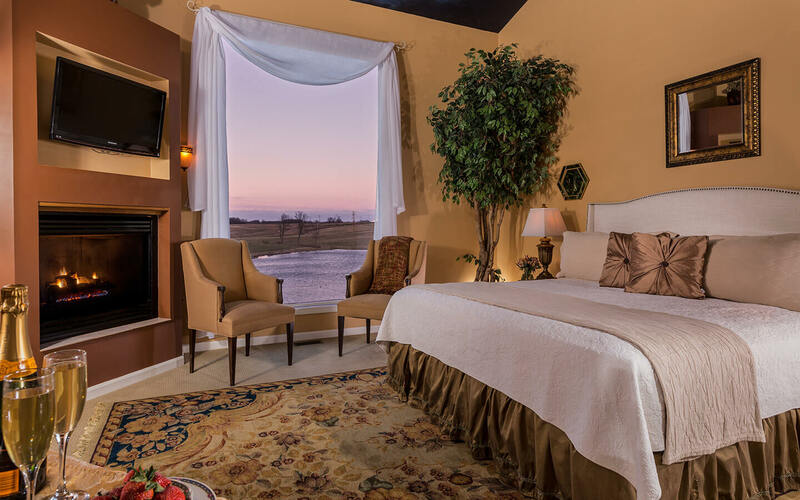 Enjoy romantic stargazing and a glass of wine or two to end the night. Download a mobile app for finding constellations. Capturing the Sunsets – If stargazing isn’t your thing, sip a cold beer and watch the sun set over the Lake Emerson. It’s a peaceful way to close out the day. 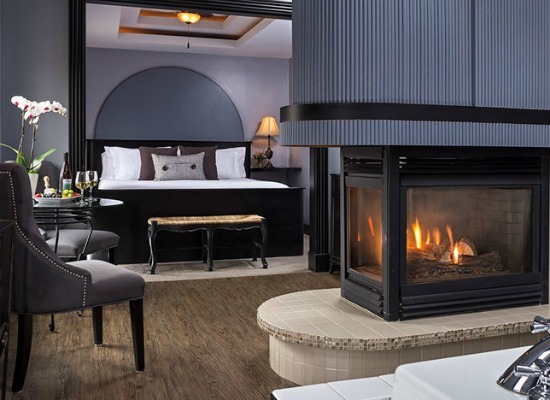 Wine by the Fireplace – Relax in our gazebo or savor a glass of wine at the outdoor fireplace. 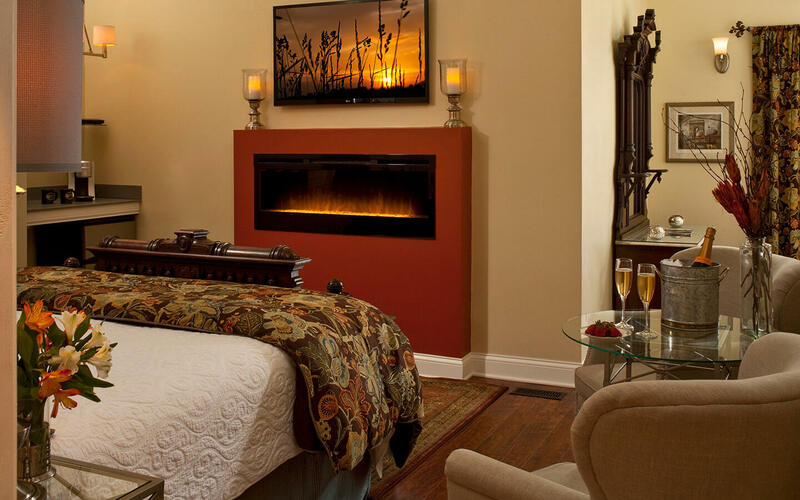 Relaxing in Your Luxurious Room – The best thing about enjoying a summer camp-like adventure at our inn is that you always have a comfortable and romantic room to retreat to at the end of the day when you get tired. Slip between the sheets and sleep soundly. 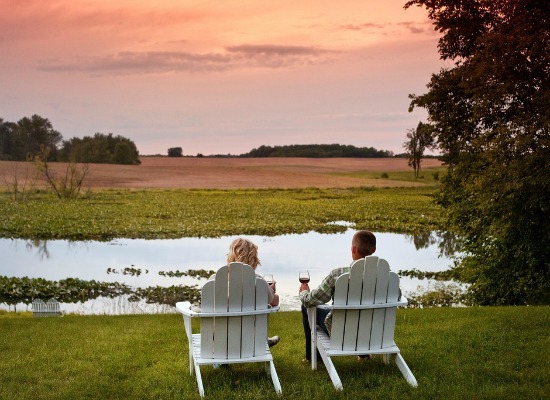 Reveling in the Peace of Nature – If you’re in search of something less adventurous and more relaxing, feel free to just do nothing at all and enjoy the sights and sounds of nature on our property. Lounge in a chair outside with a book and a beverage and just enjoy yourself. You deserve it! For even more guidance on the ultimate outdoor adventure, download the Castle in the Country app!